Allegra Boverman/Cape Ann Magazine. 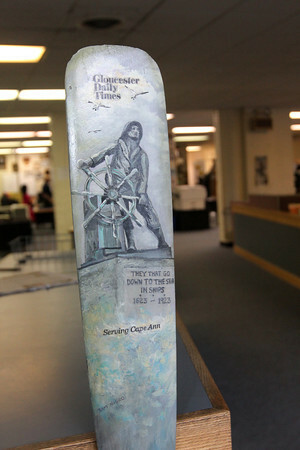 This decorative oar was designed for the Gloucester Daily Times by Gloucester artist Sam Nigro as a gift. His oars can be seen all around Cape Ann.